Surgery is expensive... there are no doubts about that. However, there are a few things a patient without insurance who desires surgery can do to minimize the costs as much as possible. Before going into cost-cutting measures, you first need to understand where the costs come from. The hospital charges run into the many thousands of dollars (typically charges start at around $3000 and goes up from there). 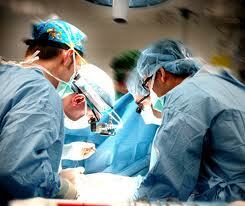 The surgeon's fees can be as low as $100 to around $1000 depending on the surgery. The anesthesia's fees are between the hospital charges and the surgeon's fees (yes... anesthesiologists are paid similarly or more than the surgeons per case). So now that you know where the costs come from, what are some ways to reduce them? Please be aware that the surgeon has no control/authority/influence over the anesthesia and hospital charges which the patient needs to individually deal with each separately. • Have the surgery done in an Ambulatory Surgery Center if possible. Oftentimes, the costs are almost 50% lower than the same surgery done in a hospital. If possible, the hospital charges can be completely avoided if the surgery is done in the surgeon's office. • Ask the hospital about self-pay discounts/payment plans. • Ask the surgeon about self-pay discounts/payment plans. • Ask about further fee discounts if the total cost is paid all at once up front in cash rather than a payment plan. • DO get referred by a free clinic if your income level qualifies you. Free clinic referral pretty much means (for most patients), the care including surgery will be provided completely for free. Fauquier County residents have one here. • If possible, request only local anesthesia which is cheaper than MAC anesthesia (twilight anesthesia) which is cheaper than general anesthesia which is the most expensive. • Request medication samples (ie, antibiotics for after surgery).